To export Excel to PowerPoint, select the required columns and rows and press CTRL +C. In the open PowerPoint presentation, either press CTRL+V or click on Home>Clipboard>Paste and choose from the Paste Options that appear next to the data. You can either Keep Source Formatting, Use Destination Theme or Keep Text Only if you need the data as just text. The Paste Options button only appears if you turn it on and not when data is copied and pasted into PowerPoint. To enable this option, go to Microsoft Office Button>PowerPoint Options>Advanced>Cut, Copy and Paste and select Show Paste Options buttons. 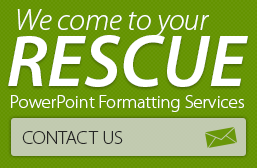 When copying and pasting Excel sheets to PowerPoint, a number of other formatting options are available as well. To select one of these formats, go to the drop-down arrow next to the Paste button, click on Paste Special and choose from the list that appears. Of the formats available, Microsoft Office Excel Worksheet Object allows you to edit the Excel sheet later and inserting a link to the source file (Paste Link) will automatically update the sheet when any changes are made to the original Excel file. Pasting the sheet as an editable object is an extremely useful option to those consultants who want to make on-the-spot calculations and projections in answer to audience queries. If you are running short of time and need an extra pair of hands to help you on your PowerPoint presentation, why not get in touch with 24point0 and choose from the wide range of PowerPoint production services available? 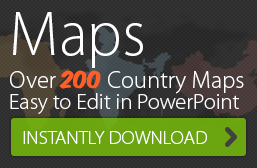 24point0’s talented team of designers and editors will help you organize, arrange and design content to create a memorable and compelling PowerPoint presentation.